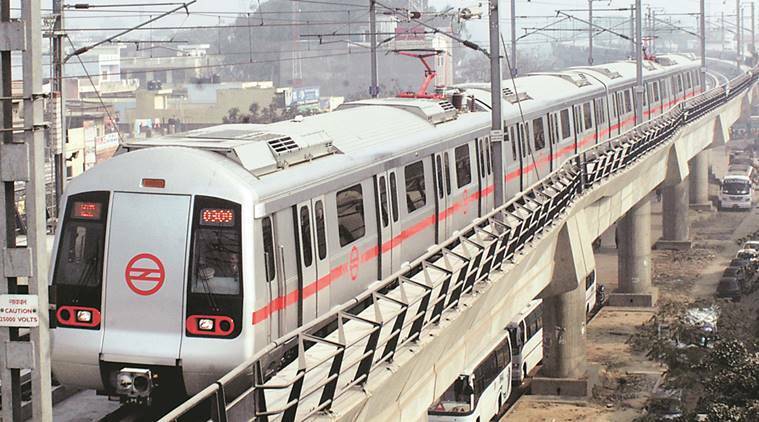 After compiling feedback on the two routes suggested by the Delhi Metro Rail Corporation (DMRC) for a new Metro line in Gurgaon, the Gurugram Metropolitan Development Authority (GMDA) has forwarded its report to the Haryana Mass Rapid Transport Corporation (HMRTC), recommending the longer route — connecting HUDA City Centre to Dwarka Sector 21. The route, conceptualised by the DMRC, was chosen over the shorter one connecting HUDA City Centre and Gurgaon Railway Station. Despite housing several MNCs, Gurgaon continues to be plagued by a weak public transport system. Now, the possibility of a new Metro line has brought hope to residents and commuters. Although the DMRC’s Yellow Line and the Rapid Metro connect parts of the city, most of it is left unconnected, except by a scanty bus network. While only five DMRC stations fall in Gurgaon, the Rapid Metro, due to be expanded, runs only across Cyber City and Golf Course Road. Several residents and commuters told The Indian Express that they approved the GMDA’s recommendation. Karan Duggal, who lives in Dwarka and travels to Gurgaon for work, said: “I spend close to four hours driving to and from work. If they actually do start a Metro line between the two areas, I could reach work a lot faster.” The longer Metro route would also provide better connectivity to the IGI Airport.